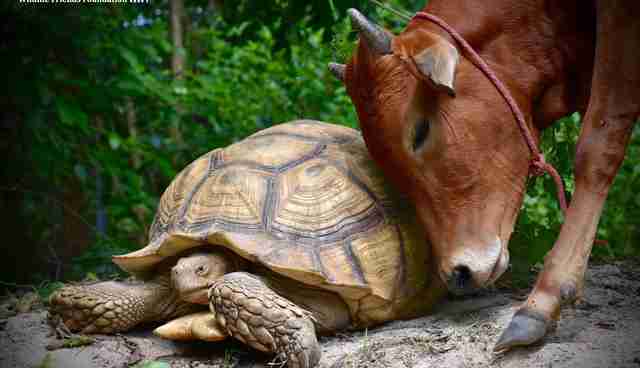 "They are often seen following each other around, sharing meals and resting together." 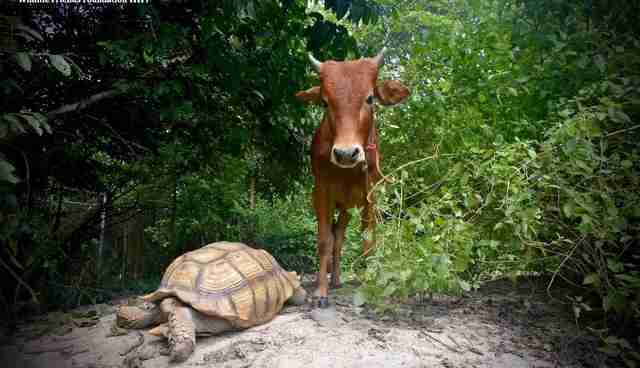 When Leonardo, an African spurred tortoise, was rescued from a zoo closing in Bangkok, Thailand, he had no idea what the future held. He went to the Wildlife Friends Foundation Thailand (WFFT) Rescue Center, which has given hundreds of animals help and sanctuary when they had no place to go. Since his rescue in 2013, Leonardo became comfortable and happy with sanctuary life - but it was about to get even better. 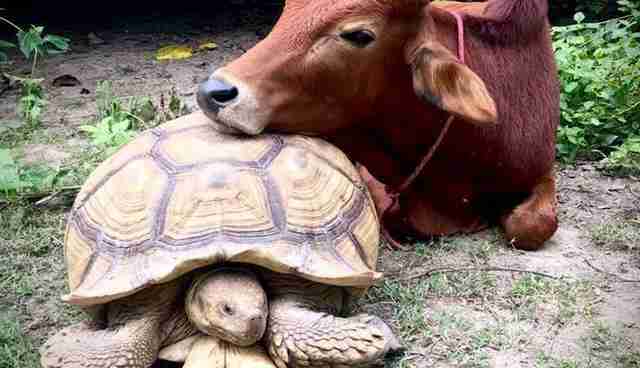 In February, a young cow was out grazing with his mother when he got caught in a tangle of vines. He was so tangled that he ended up losing part of one of his hind legs. 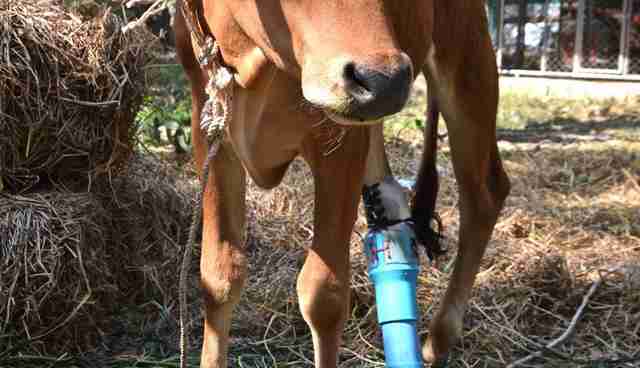 He was taken in by WFFT and given a prosthetic to help him walk. 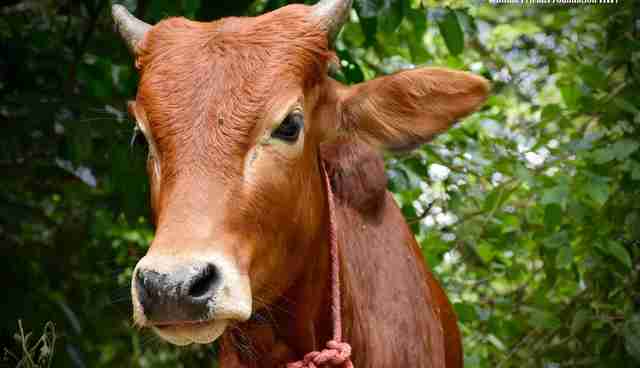 Rescuers planned to introduce the cow, whom they named Simon, to other bovines like him at the sanctuary. But apparently Simon had other plans. "We decided to house him temporarily in a large open field enclosure within the WFFT Rescue Center where he could recover from his ordeal," WFFT wrote. 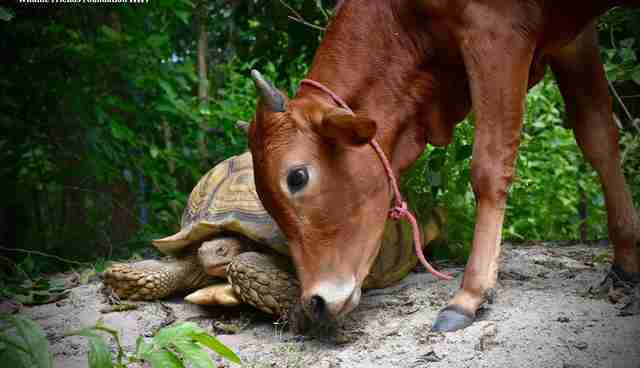 "We had then planned to move him into a field were we house two other rescued cows." But then Simon saw Leonardo and, well, he fell in love. 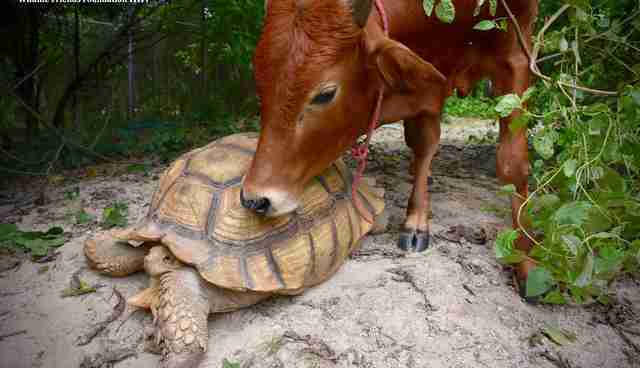 "To the surprise of us all Simon the cow has formed a strong bond with the large tortoise, Leonardo," WFFT wrote. 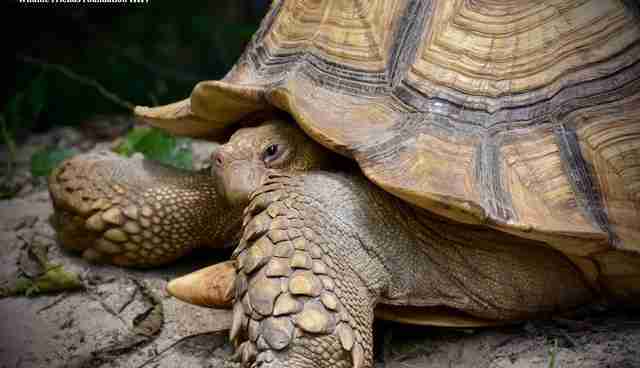 "They are often seen following each other around, sharing meals and resting together," WFFT wrote. 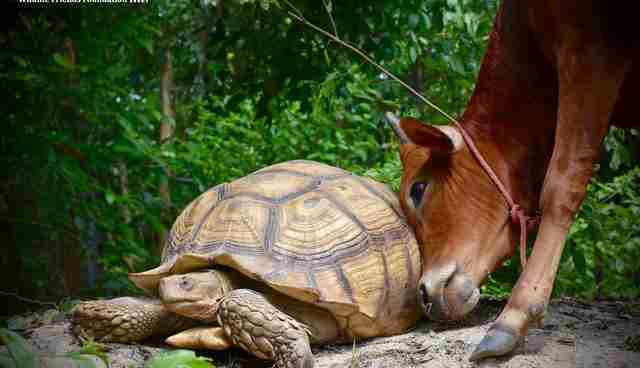 "We hope this unusual friendship continues to flourish." You can help the rescued animals at WFFT by clicking here.